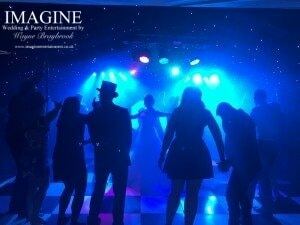 It’s not as strange a question as it may seem….how would you like to end your wedding reception? OK, I’m getting ahead of myself (I tend to look at the whole day rather than specific parts). Your wedding day is one of the most important days of your life, and everything should be perfect. The big day takes a LOT of planning, from the ceremony itself through to the chair covers, the favours and the speeches. Unfortunately though, all good things must come to an end, and it’s important that the end of your reception is something to remember as much as the rest of the day! Why is it important how you end your wedding reception? Surveys have proven that guests typically remember the last hour of your wedding reception over and above a lot of other things (for instance the cake or the chair covers). You want them to leave thinking that YOURS was the best reception they’ve been to, don’t you? The end time of your reception will more than likely be dictated by local licensing laws (in Cambridgeshire, this tends to be a strict midnight finish, although some venues are allowed to continue slightly later). So…how should you end your big day? Ultimately, it’s entirely up to you. Maybe you want a particular song played to signal the end of the evening? Maybe you’d like to reprise your first dance? Maybe, you’re leaving before the end of the reception? However you’re planning on ending the big day, I can help! There are three main ways in which most wedding couples tend to end their reception. It’s not an exhaustive list…you may have plans of your own which are completely different, and I’m more than happy to work with you to ensure these ideas are put into place where possible. This is by far the most popular ending to the vast majority of wedding receptions I entertain at. I’ll generally reprise your fist dance song as the penultimate song of the night, which will naturally encourage your guests to join you on the dance floor. For the final song, I’ll normally play something upbeat which your guests can sing along to whilst they circle you on the dance floor. The choice of the last song is of course, entirely up to you…but recent popular selections have included Time of my Life by Bill Medley and Jennifer Warnes, Don’t Stop Me Now by Queen, 500 Miles by The Proclaimers and Wonderwall by Oasis. Around half-way through the track, your guests will be encouraged to move in closer to you to show their love! Not quite so popular as it used to be, this involves you as the happy couple leaving slightly earlier than the end of the reception. This is normally facilitated by getting your guests to form a human arch from the dance floor to the exit of your venue which you run though to an upbeat track. Be warned though, once you’ve left, your guests will very quickly follow you! So, it’s something you may not have thought of as a part of the plans for your big day, but trust me (I’m a DJ 😉 ), it’s one of the parts of your wedding reception your guests will remember and talk about for a long time to come!